Liverpool FC has today announced Falken Tyres as a global partner and official tyre partner of the club. The partnership was launched today in Hong Kong as part of the Reds' pre-season visit at an event that was attended by first-team players Daniel Sturridge, Mohamed Salah, Joel Matip and Nathaniel Clyne. The multi-year deal will see the two brands work together to create unique experiences for fans and drivers alike, whilst opening further growth opportunities in Falken's key global markets. 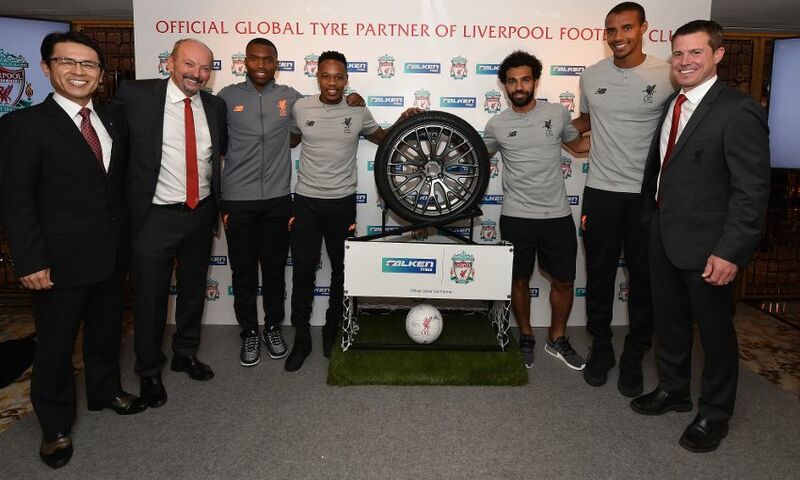 Utilising the world-class appeal of Liverpool FC - and putting the passion of the club's fans at the heart of the sponsorship - Falken Tyres will create innovative initiatives including exclusive content to bring the club's fans closer to the action. Falken will also benefit from a range of marketing and promotional rights including digital and social media support, pitchside LED, stadium branding and access to LFC players and legends. Commenting on the partnership, Billy Hogan, chief commercial officer and managing director at Liverpool Football Club, said: “Falken has great synergy with the club, their focus on attitude and performance align nicely with the club's values of ambition and commitment. Satoru Yamamoto, director and senior executive officer of Sumitomo Rubber Industries, said: “We're delighted to partner with a football club as prestigious as Liverpool FC. "We both believe in an exciting future and we look forward to working together to reward and recognise our customers, as well as connecting with more fans across the world. For more information on Falken, please click here.